Marketing strategies can work in mysterious ways, often making an average product look like the best. As poker players, we know that the site with the most traffic is not necessarily the best. Moreover, we also know that a poker site is not guaranteed to be great because we are subject to constant television commercials and internet adverts telling us so. It’s about a matter of taste, and sometimes that means we can uncover a hidden gem. The same rule applies to online casinos, with the most popular casinos not always meaning the best. For example, did you know that Bet365, William Hill, Betfair, Paddy Power, Ladbrokes and Coral, six names who dominate the UK gambling market, all have exclusive software deals with Playtech? There is nothing wrong with this of course, as Playtech is one of the most innovative games developers in the business. But it means that there is a sense of sameness at these casinos, with the game selection being almost identical. Finding a hidden gem, then, might help you unearth casino games you have never experienced before, or give you a level of customer care that is only possible with a smaller operator. But who are these underrated heroes and where can you find them? Everyone thinks of BGO as the Paris Hilton casino, but it’s also stuffed full of cool games and great promos. The focus mainly goes on slots, but BGO has another ace up its sleeve – a brilliant selection of video poker games. 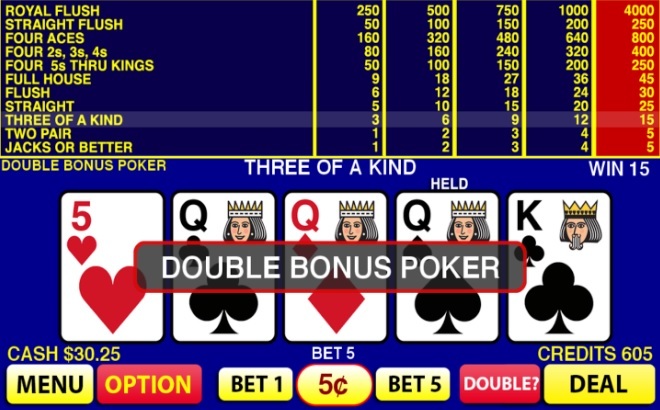 Video poker is seemingly a dying art, especially among new operators who often seem reluctant to add a video poker section to their online casino site. Players should be more vocal in demanding video poker be included, because they have some of the best RTP (return to player) percentages. Big praise for BGO casino for offering lots of video poker – some games you’ll find nowhere else. Continuing with the idea that a top online casino should carry a good selection of poker games, Lucky 247 casino takes the ball and runs with it. There are 26 different video pokers available at the casino, including the excellent Power Poker series. There are also plenty of virtual poker games and an excellent live dealer suite. Dunder has over 1000 games, with most of the focus going on slots. However, for poker fans there is a wide selection, especially in the live dealer section. Three Card Poker, Caribbean Stud and Casino Hold’em are all available in different formats. Dunder puts a lot of focus on its live casino promos too, you might even find that they are more lucrative than online poker rakeback. Best of all, Dunder gets a lot of praise on review sites for its excellent customer service. Just why someone thought it was a good idea to have a pizza-themed online casino is anyone’s guess, but Casino Calzone is, frankly, awesome. There are games by the bucketload, well over 700 at last count. There are also loads of cool promotions that allow low stakes players to rake in plenty of extra bits of cash and free spins: You’ll just have to suffer the swathe of Italian food related puns – but it’s worth it.